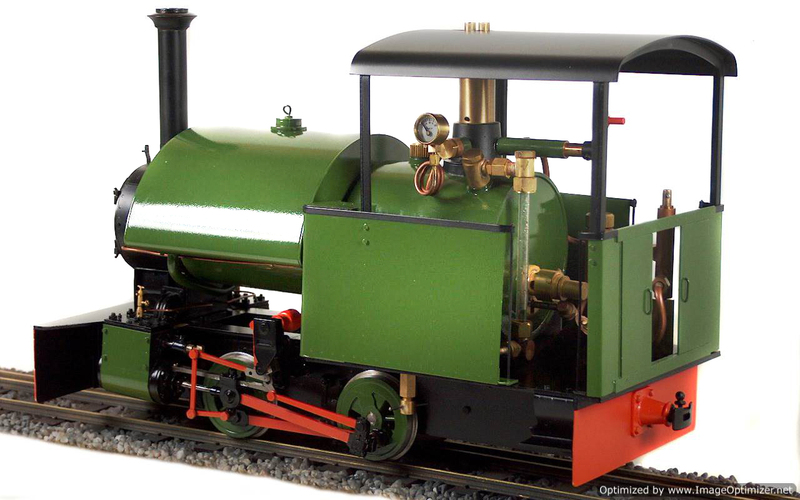 Here we have a 7″ x 12″ Bagnall. 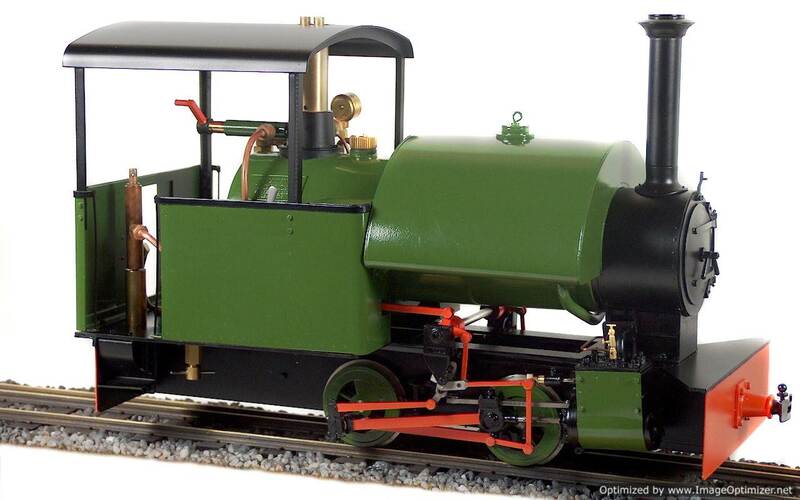 Bagnall were renowned builders of industrial locomotives for both standard gauge and narrow gauge. 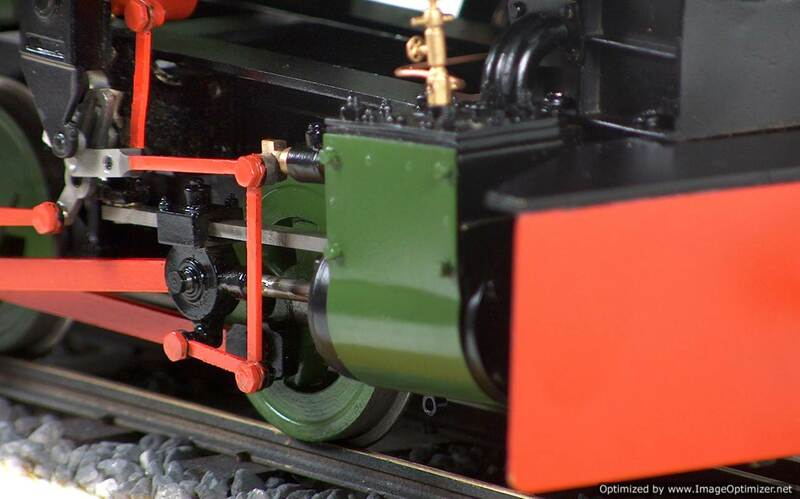 They developed a huge range of designs and built numerous engines for the ‘big four’ and the MOD. 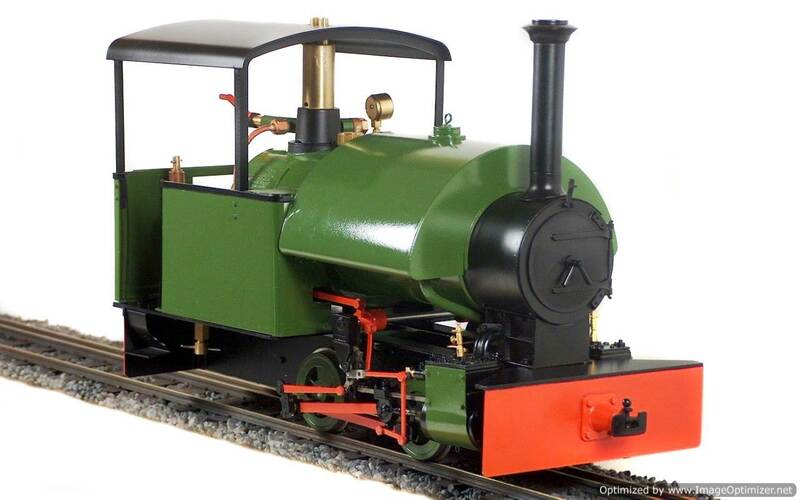 The 7″ x 12″ saddle tank was a mid-range narrow gauge design that could be supplied in a number of different formats. 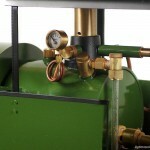 Several examples of the type have been preserved, one of the most famous being the Rev. 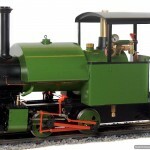 Teddy Boston’s ‘Pixie’ which ran round his railway in the garden of Cadeby rectory! 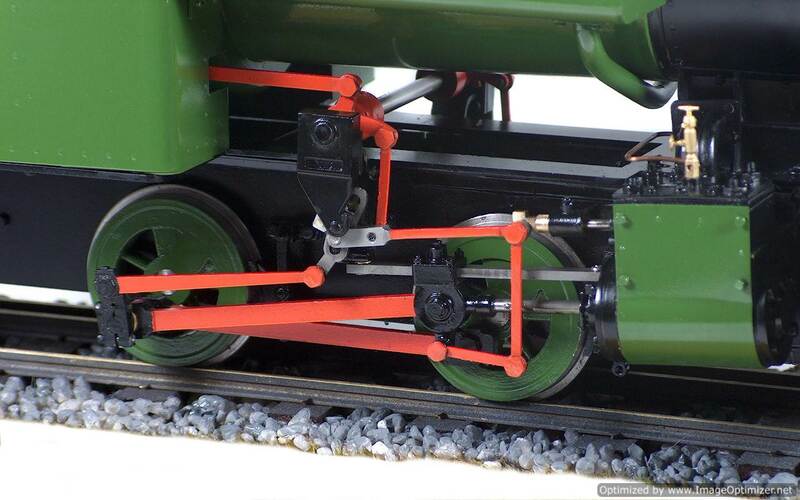 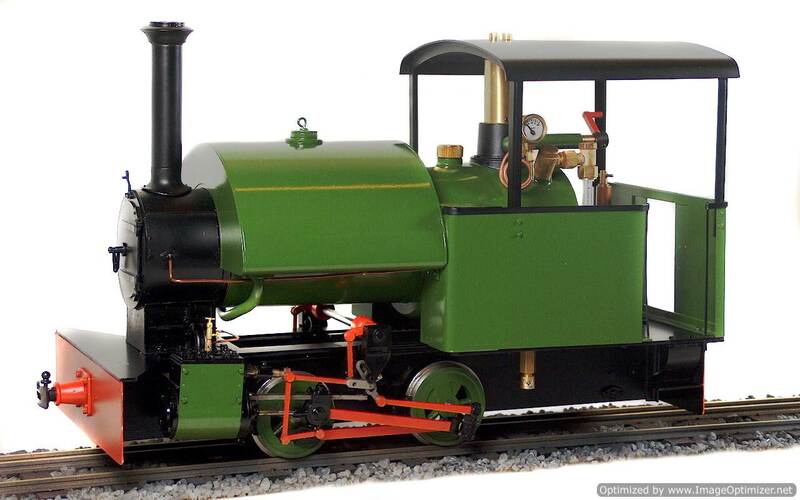 In light of the success of our Quarry Hunslet in this scale, used to represent 2′ gauge on 45mm track, Accucraft have decided to produce our second live steam locomotive for this market. 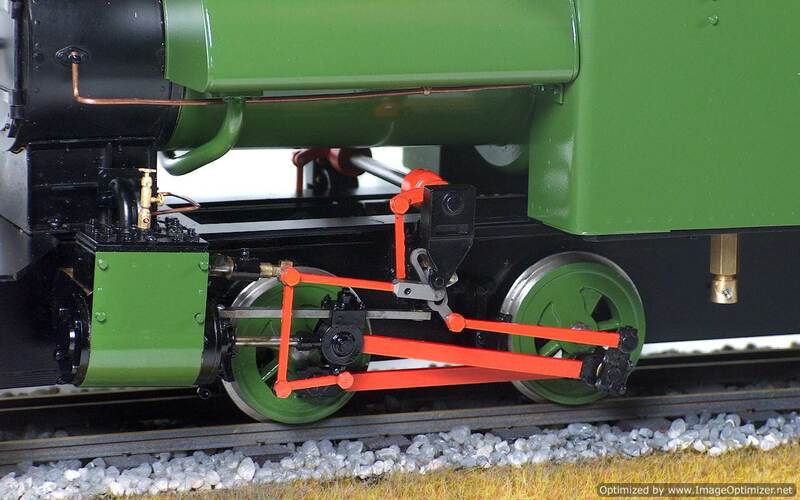 The more generous proportions of models in this scale have given us the opportunity to look at prototypes which would be rather too small in 1:19 scale but which we have long hankered to produce. 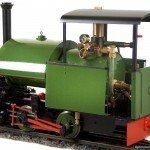 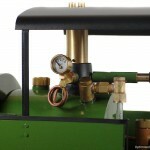 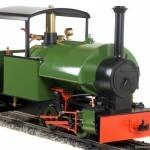 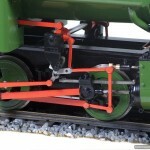 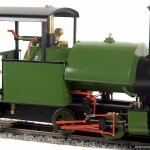 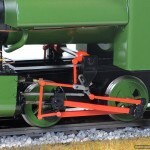 The model is gas fired and fitted with a water top up valve, water gauge with blow-down valve, miniature pressure gauge; constructed of stainless steel and etched brass, the loco has an enhanced level of detail made possible by this scale including a brake stand / gas control valve, dummy water gauge. 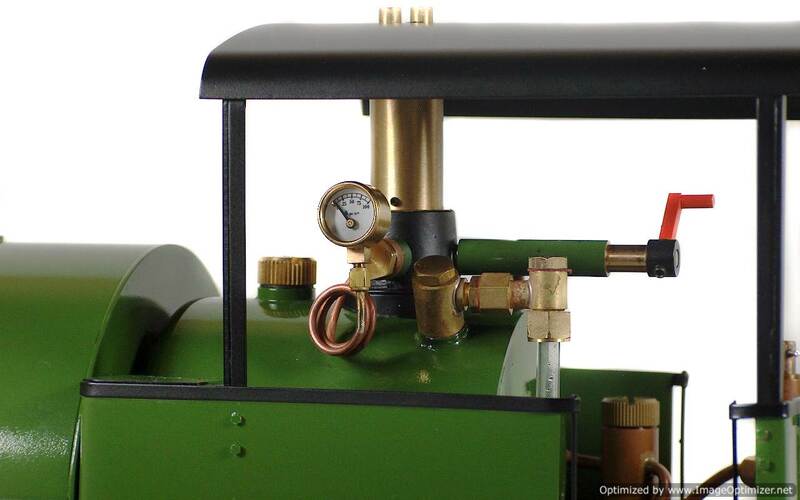 It is not gauge-adjustable and is only available in 45mm gauge. 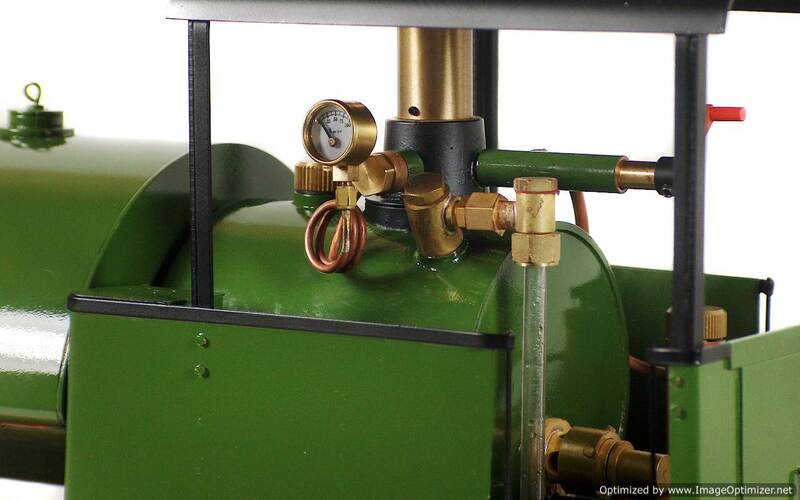 Boiler Fittings: Safety valve, miniature pressure gauge, water gauge with blow-down valve, Goodall valve.